I have been on an experimental kick in the kitchen lately and it has been a blast! I love trying new recipes and my family is usually more than willing to be my personal taste testers! 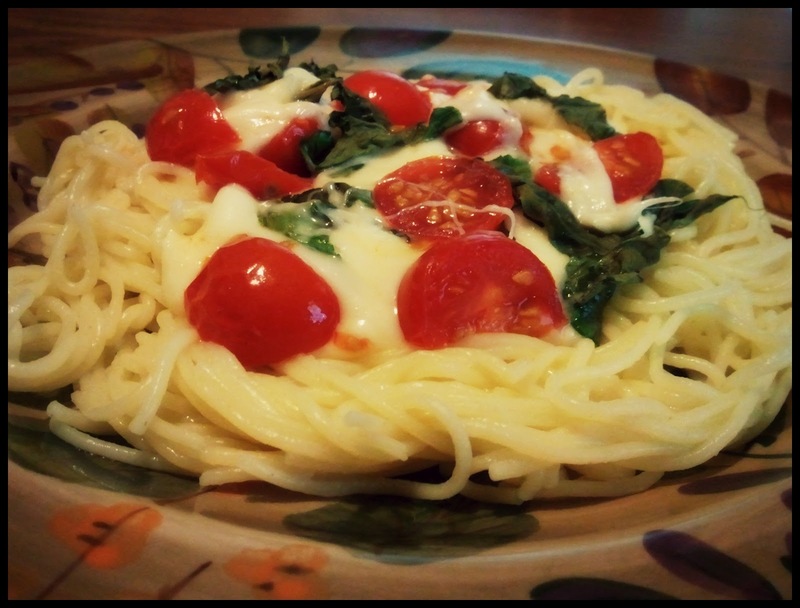 Tonight I tried a Caprese dish over angel hair pasta. 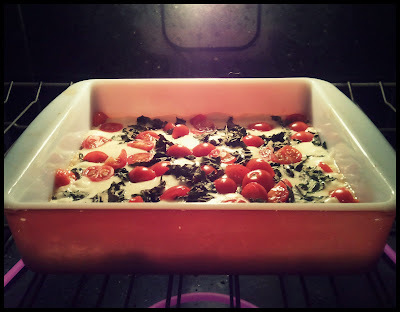 I found it here via Pinterest, but I tweaked it by making it into a pasta dish. It's super easy! 1. Cut the mozzarella into cubes and put into casserole dish. 2. Take a handful of basil and cut it into strips; add to dish. 3. Cut tomatoes into halves (or smaller); add to dish. 5. Boil the pasta and drain. 6. 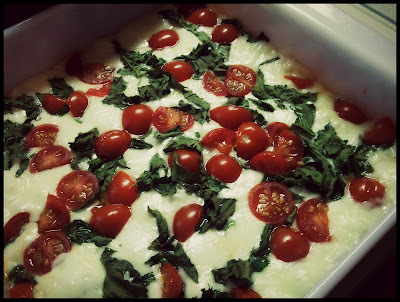 Place a scoop of the cheese dish onto the pasta and enjoy! This is especially tasty with a few slices of french bread! 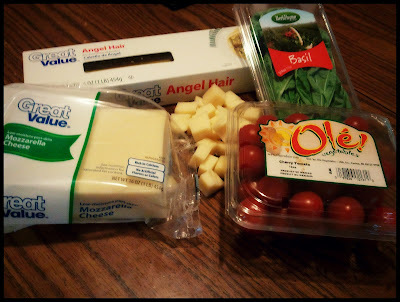 Tips: One problem I found was that the cheese settled too quickly, making it a little hard to eat without cutting it up. I used a generic brand cube of mozzarella cheese, but next time I will definitely use a fresh log and hopefully that will help with the consistency. However, it still tasted amazing using this method! 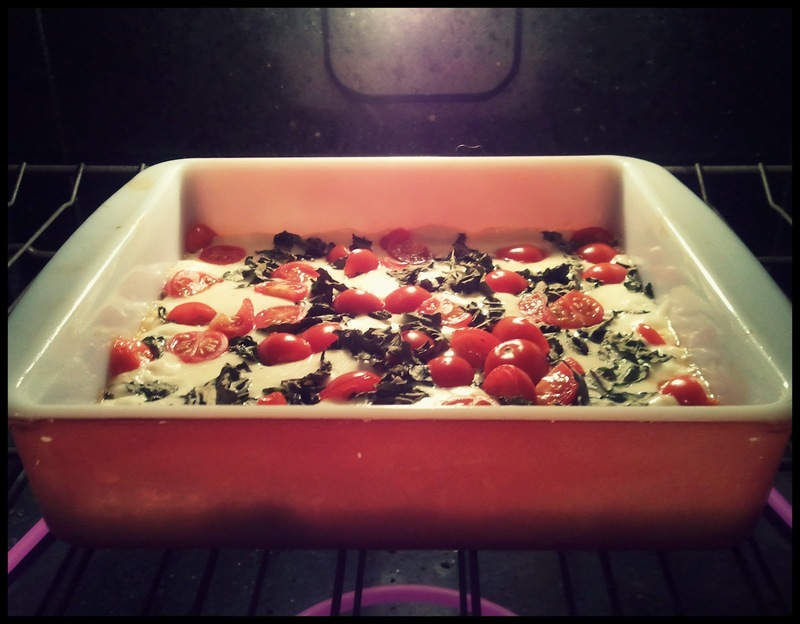 Love Caprese and this recipe looks awesome! I'm a total pasta girl so I will definitely be making this! Mm mm mm, this looks delicious!